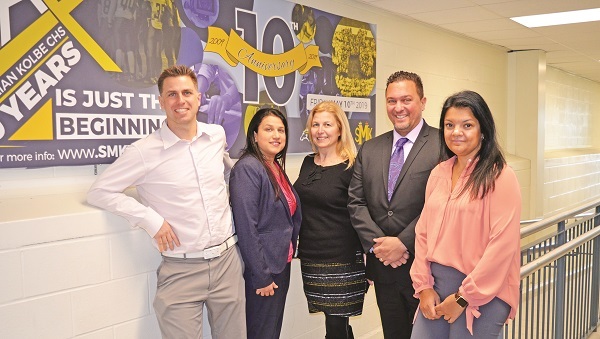 You can measure ten years in time, but St. Maximilian Kolbe Catholic High School is preparing to mark their first decade in Aurora by measuring their first decade in people and relationships. New policies surrounding how members of Council interact with Municipal Staff left some local lawmakers questioning whether this will have an impact on how they can address concerns brought to them by local residents. Over 20 organizations serving York Region and beyond will share in the proceeds from this year’s Magna Hoedown, Neighbourhood Network announced Monday. Help to keep Aurora beautiful by fanning out with a team of volunteers this Saturday for the Town’s annual Clean-Up Day. Teens staged walkout Thursday afternoon to protest changes to Ontario's Education system. Aurora Chamber's 2019 Home & Lifestyle Show takes over Stronach Aurora Recreation Complex (Wellington Street East and Wellington) Friday, Saturday and Sunday.